The Muscogee Educational Excellence Foundation (MEEF) believes there’s nothing more important to our community’s future than strengthening our public schools. 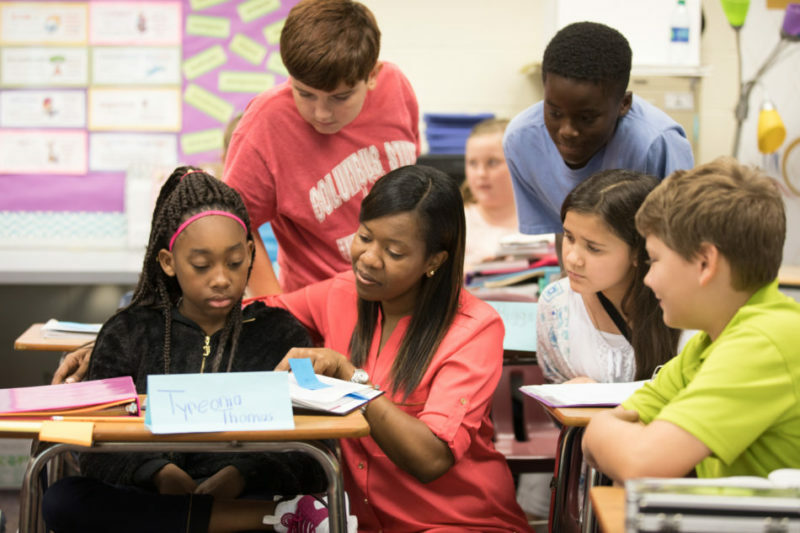 Our nonprofit, community-based organization provides recognition, training and resources to teachers in the Muscogee County School District. We strive to enhance the quality of our educational system by focusing on those who have the most direct impact on our students — teachers. We know teachers change lives. MEEF is representative of our outstanding business, education and community leaders who are committed to making a difference in education and in the lives of our children. Through many years of dedicated work by community leaders, as well as a significant financial investment, MEEF has evolved into one of the leading advocates of excellence in public education in our region. Generous donors have enabled MEEF to provide significant financial assistance to programs that foster innovative and effective teachers through Teacher of the Year, Harvard Fellows, Project Zero Perspectives and the MEEF Endowment. In its 19-year history, MEEF has awarded over $2.2 million to teachers. We hope you will continue to enhance MEEF’s efforts to foster, recognize and reward educational excellence through your personal financial support!